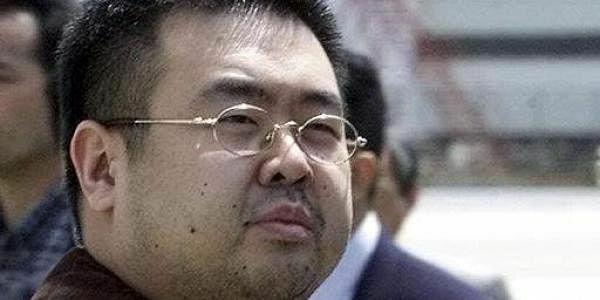 The body of Kim Jong-Nam, half-brother of North Korean leader Kim Jong-Un, has arrived in Pyongyang, Chinese officials confirmed. BEIJING: The body of the assassinated half-brother of North Korean leader Kim Jong-Un arrived in Pyongyang Friday, apparently accompanied by three men initially named by Malaysian police as suspects in his murder. Kim Jong-Nam was attacked with the lethal nerve agent VX on February 13 in Kuala Lumpur airport, in an audacious Cold War style operation that triggered a diplomatic row between Malaysia and North Korea. Malaysian national police chief Khalid Abu Bakar said three North Koreans wanted for questioning had finally been interviewed and allowed to leave on the same plane carrying Kim's body. "We have obtained whatever we want from them... we are satisfied," Bakar said. The three had been holed up in the North Korean embassy in Kuala Lumpur for weeks. China confirmed that the body had arrived in Pyongyang – after transiting through Beijing -- along with "relevant" North Korean nationals. Both countries expelled each other's ambassadors and barred their citizens from leaving, in a bitter stand-off over the killing. But late Thursday, Kuala Lumpur said it had agreed to send back the body to the North in exchange for nine of its citizens, who were returned to Malaysia early Friday. Malaysia's police chief said the three North Koreans had been wanted for questioning because they were seen on CCTV near the airport attack. "In the beginning we said we would like them to assist in the investigation and we have allowed them to go," Khalid told a news conference in Kuala Lumpur. He said police still wanted to question four other suspects believed to be in North Korea. Malaysia had been waiting for family to claim the body and Khalid hinted that the North's leader himself could have written the letter to claim the body. "Legally, Kim Jong-Un is next of kin," he said. China's foreign ministry spokesman Lu Kang told a regular press briefing that Beijing "offered necessary assistance to the transit of the body".